Our Dentists Can Treat Toothache - Book Online Now! Toothaches are usually a symptom of more serious problems with your teeth and oral health. Tooth pain can cause significant discomfort and prevent you from going about your day to day activities. 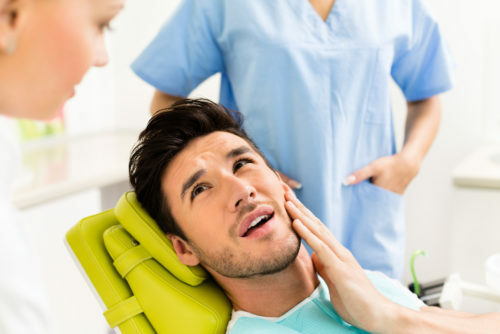 It’s important that you visit a dentist as soon as you can so as to identify the cause of your toothache and obtain the necessary dental treatment. The treatment provided for toothache or tooth pain will depend on the underlying cause for it. Your dentist will assess the tooth and determine what the best action to take in order to reduce pain and prevent toothache in the future. This may include root canal therapy, dental fillings, dental clean-up and sometimes even tooth extraction. Ignoring a toothache can lead to more pain as well as potential risk of a more serious problem such as losing your tooth or infection. This will not only incur higher costs to repair but will add to the discomfort.